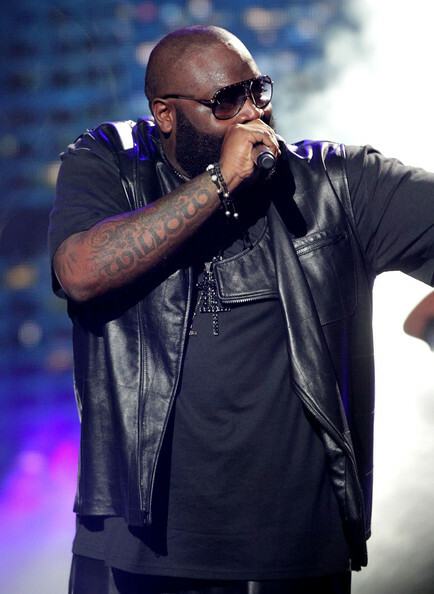 Rick Ross performs onstage during the 2010 BET Awards held at the Shrine Auditorium on June 27, 2010 in Los Angeles, California. While preforming at the BET Awards. Rick Ross showed off his arm tattoo.